Big Finish announced today that Missy will be getting her own audio range. Michelle Gomez, who played the Doctor’s best friend and wicked enemy, Missy will be reprising her role in some brand new audio adventures from Big Finish Productions made in arrangement with BBC Studios. 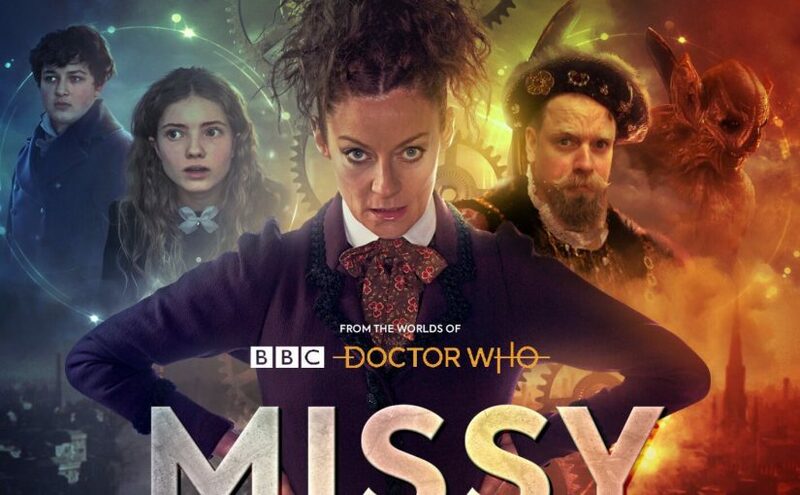 Throughout her time on Doctor Who, Missy – an evil incarnation in the guise of a Victorian nanny – was a delightful devil, at one point sentenced to death for terrible crimes against the universe. And now we get the chance to hear more of what she is really capable of. These new adventures see an unleashed Missy bringing the universe to wrack and ruin. We can’t wait for its release in February 2019! “I was very excited to return to Missy’s world via the medium of audio because along the way I’ve always had a lot of fun with Missy; her voices and her rhythms. I absolutely love capturing it and distilling it down to the word on the page. And (whilst evading the Doctor’s clutches) Missy will encounter another enemy of her ‘boyfriend’ as she crosses paths with the Meddling Monk played by Rufus Hound. “Missy’s own series is just like the Time Lady herself – anarchic, funny, unpredictable and wildly imaginative. It’s absolutely glorious to have Michelle returning to the character at Big Finish, and our recording days have been filled with so much laughter. Missy is available for pre-order now ahead of its release in February 2019 at £23 on CD or £20 on download from www.bigfinish.com and will remain at this price until general release when it will be available for £35 on CD or £30 on download.